We live in the new age of growing convenience. We have apps to streamline even the simplest tasks in our day to day lives, the internet provides us with answers to the world’s most thought provoking questions with just a few clicks of a mouse, and food trucks can now provide delicious meals wherever you may be. The food truck revolution has taken Australia by storm in recent years and you’d be hard pressed to attend a public event, music festival, or large crowded space without laying eyes on one of those cheeky four wheeled smorgasbords. 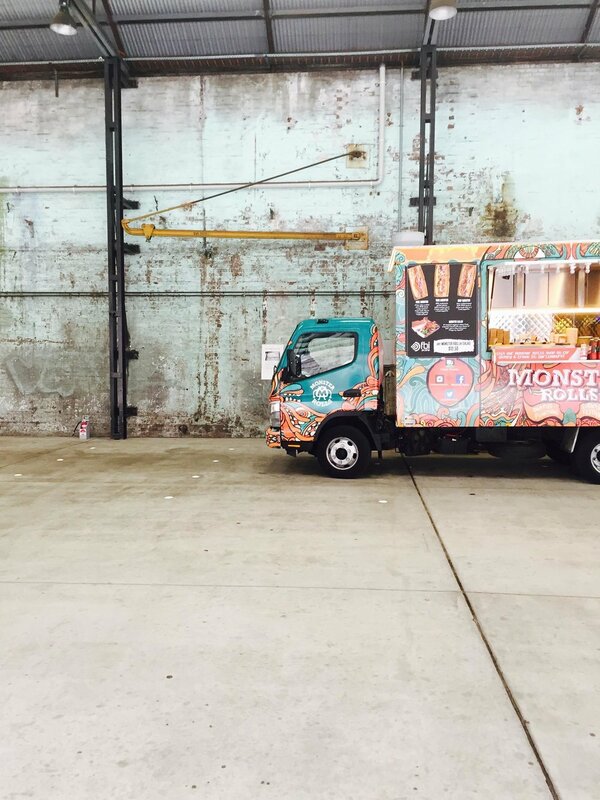 Food trucks are Australia’s new catering solution. The added benefit of virtually having a restaurant on wheels? You now have access to a convenient mobile catering service whether you’re in Sydney’s Western Suburbs, Surry Hills, or the surrounding areas. When you typically envision your corporate or private event’s catering service, you’re probably picturing a team of chefs, waiters/waitresses and assistants right? They need to get to your venue early to begin preparing and they generally need time afterwards too to pack up. Well this is where our catering puts all other companies to shame. Operating out of our fully fitted and self-contained food truck fortress, we have everything we could need already setup and ready to begin churning out high quality, mouth-watering, meaty delights. Our slow cooked meats, authentic homemade sauces and freshly baked baguettes mean your guests will be lining up for more. What makes our Western Sydney catering a level above the rest? Able to come to you in Surry Hills or anywhere else in Sydney’s Western Suburbs, we offer one of the most highly sought after catering company services in the entire region. How can we make such a bold claim you ask? Well when you consider our more than generous slow cooked meat and chicken schnitzel masterpieces, our dedicated customer service and modestly awesome food truck design, we’re a standout amongst the competition. Book your feast on wheels today and give us a call! For more information on our catering availability in Western Sydney, Surry Hills or beyond, message us today at info@monsterrolls.com.au. Our team can give you more information on our friendly team, menu options as well as offer you a free quote on the catering for your Sydney event.